Berkery, Noyes & Co. advises The Wicks Group on the purchase of DesignWrite, Inc. from Founders - Berkery, Noyes & Co., LLC. 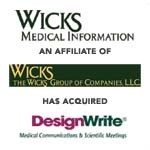 NEW YORK, April 13, 2005 — Berkery, Noyes & Co., LLC announced today that it advised Wicks Medical Information, LLC on its purchase of DesignWrite, Inc. (“DesignWrite”) from the founders. DesignWrite is a leader in medical communications, providing science-based marketing solutions for the pharmaceutical/biomedical industry. DesignWrite delivers the highest-quality services and products to its clients through its extensive knowledge of the health care marketplace, its expertise in developing integrated medical communications programs, its experience in multiple therapeutic areas, and its rapport with investigator communities. Wicks Medical Information, an affiliate of The Wicks Group of Companies, L.L.C., operates in the medical information services market and is concentrating on growth through the acquisition of companies in the medical education and publishing sectors focused on providing information to doctors, nurses and other service providers. The Wicks Group of Companies, L.L.C. is a New York-based investment firm specializing in communications, information and media businesses. Berkery, Noyes specializes in investment banking for the information, publishing and communications industries. Among the most recent transactions completed by Berkery, Noyes are the acquisition by HMP Communications, Inc of Multimedia Healthcare Freedom, the acquisition by Discovery Communications of AIMS Multimedia, LP, acquisition by CMP/UBM of Cliggott Publishing and The Oncology Group, acquisition of Little Blue Book Companies by WebMD, the acquisition by Hanley Wood, LLC of the Annual Trade Show of the National Roofing Contractors’ Association, the sale of the print-assets of Sheshunoff Information Services to Alex Information and Shesunoff Insurance Solutions to Highline Data, and Weaver Publications to Prospect Partners, LP. 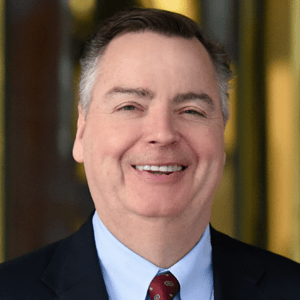 Berkery, Noyes’ clients range from private companies seeking a buyer, to most of the major international information companies who use the firm’s expertise in locating, analyzing and negotiating with acquisition candidates and in managing divestitures. The firm operates with a staff of twenty-six professionals serving the information and publishing industry from offices in New York. For more information, visit www.berkerynoyes.com. Buyer Parent: The Wicks Group of Companies, L.L.C.